A beautiful poem. I can relate to the feeling of loneliness, but at the same time I enjoy the solitude of an evening, to reflect and soul search. Thanks for sharing this poem and your other words of art. I love this poem and the emotions involved in it. I hope the silence and the stars in the night sky are your quiet companies. No voice, but being there for you always! I get peace from this. Loneliness isn’t always negative, right? It can just be the state of being alone, but sometimes that’s welcome. A state in wait, so to speak. And silence can certainly be healing. I have also felt this recently. I guess that’s why meditation can be life altering. You sound well, my friend? On a good road? I agree with you! This poem speaks to the nothingness what we feel so often. 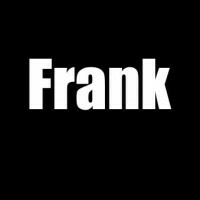 Beautifully worded Frank! !